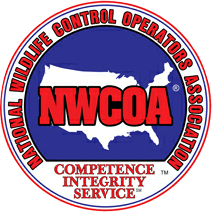 Hogarth’s Wildlife and Animal Removal specializes in Woodchuck removal. Woodchucks are a rodent belonging to the largest of the squirrel species in Northern Michigan. 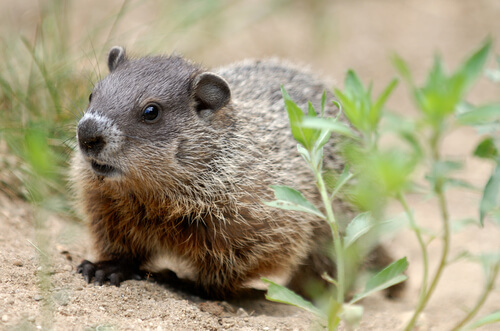 Also referred to as Ground Hogs, they are active during the day in the spring to fall months. They are tan to brown in color and can reach up to 24 inches long. They are similar to the Thirteen-lined Ground Squirrel in that they do not enter homes. Woodchucks have clawed paws for digging and can cause damage to garden plants, agricultural crops, trees, and other shrubbery. They are not aggressive toward humans or other animals and do not transmit diseases. They have also been known to chew on logs, cedar, and T-11 siding. Woodchucks will build their dens under foundations, pools, and sidewalks. They hibernate around the end of October until late February and into March.